The flavour of pheasant, partridge, grouse and quail depends largely on how long the bird has been hung for and allowed to develop that characteristic gamey taste. The autumnal flavours of these darker meats means that red wine is required, particularly reds that are lighter in body, more acidic than tannic. Quail, if simply seasoned and roasted, has a complex yet subtle taste that also requires a wine that is assertively flavoured with a bright backbone of acidity but not too tannic. Pinot Noir from Burgundy is the traditional choice; the Spanish alternative would be Mencia. Puerto de Monte Mencia from DO Bierzo, cultivated at altitude to retain freshness has the bright fruit flavours yet medium-bodied profile that is required. Many classic Spanish wines – such as oak aged Rioja – are the ideal partners for feathered game. Take our gold-medal winning Finca Mónica Rioja Crianza with partridge, the well-balanced wine with silky tannins complementing the delicately flavoured meat without overpowering it. 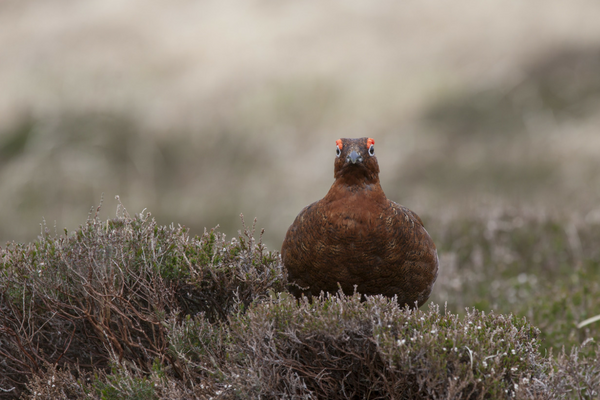 Towards the end of the season, a well-hung grouse has a more pungent flavour that needs a wilder, more powerful red. Wines made from the Monastrell grape with flavours of blackberry, spices and liquorice and broad, ripe palate would be a good choice. We recommend our Alma de Casa Monastrell blend from DO Yecla. Wild boar, or jabalís, abound in the wooded hills of Catalonia, so local wines are made to stand up to the task of partnering with this fuller-flavoured version of pork – powerful in terms of alcohol and flavour but with soft and approachable tannins. The big, black fruit flavours, soft edges and touches of spice of the Mediterranean Pleyades Shiraz from DO Catalunya are ideal. Also in Catalonia, the iconic DOCa Priorat delivers more full-bodied, complex wines with the tannic potency needed to cut through the texture of rare venison, especially when served with a berry sauce. Clos Roja Priorat– a blend of Cariñena, Garnacha and Shiraz cultivated on the typical licorella slate soil -shows the region’s typical rich intensity, aromas of blackcurrant, strawberry and hints of chocolate, with powerful minerality and robust tannins. Let us know what wine and food matches your restaurant customers are serving alongside Spanish wines this autumn.